The cost of acquiring a user has skyrocketed in the past year by a sharp 113%, bringing average cost per acquisition to over $3. To win in the current market, mobile marketers need to shift their focus beyond acquisition. The #1 priority needs to be retention. Savvy marketers will focus on smart engagement and retention tactics, which cost a fraction of traditional acquisition campaigns and yield much higher retention rates. 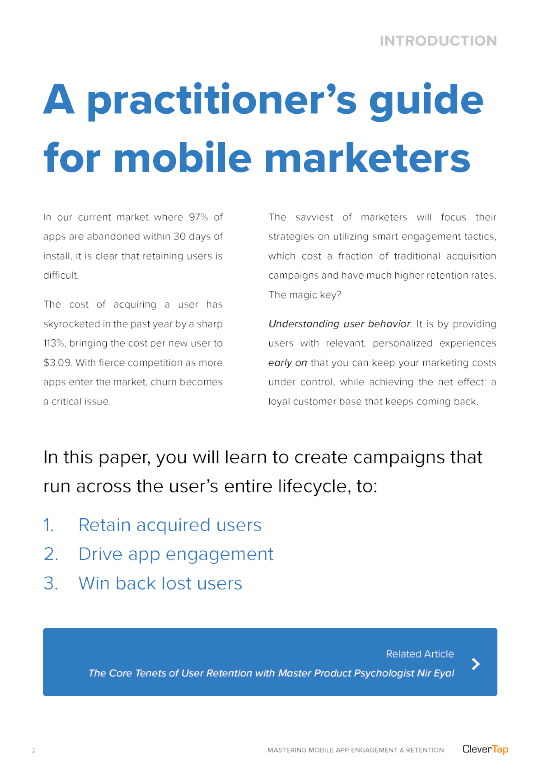 Build an effective retention strategy that engages users during key mobile moments. 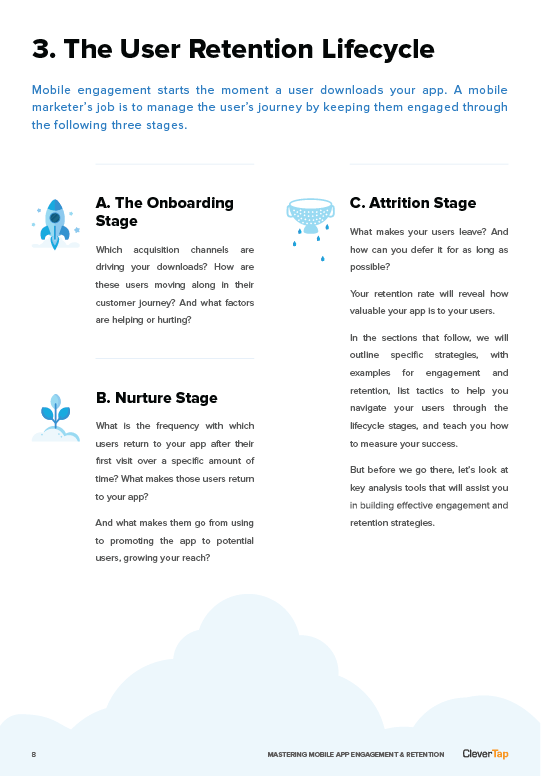 Highlight your app’s value and build new user habits during the critical first seven days after download. 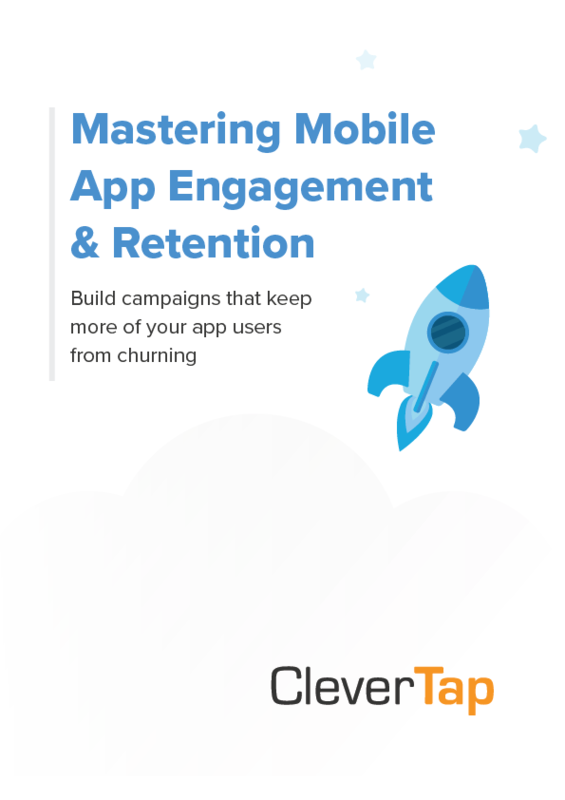 Keep users engaged through the entire app journey, from activation to advocacy. 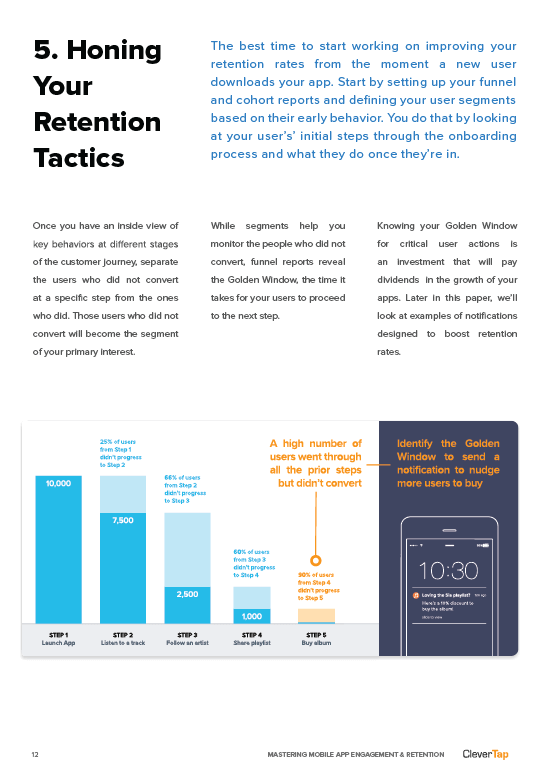 Minimize churn with effective strategies for re-engaging dormant users.